To mix things up a little, we’re going back to Greece for today’s photo of the day. 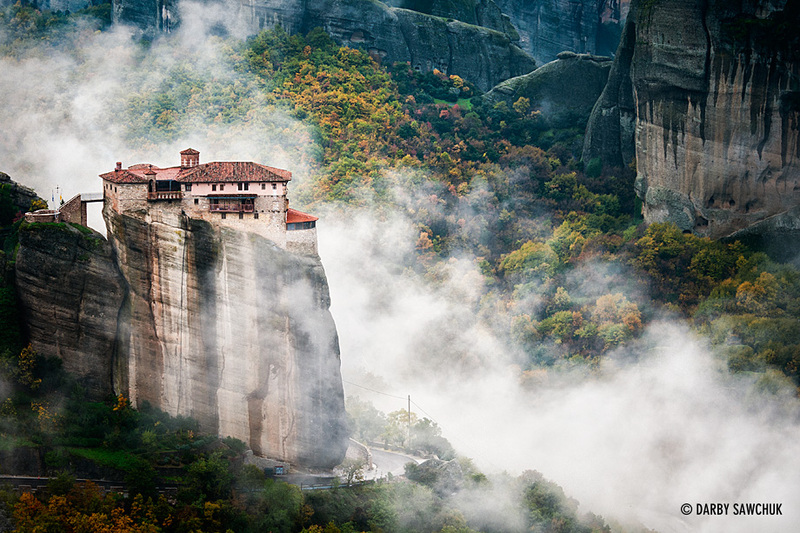 This one is the Roussanou monastery in Meteora, Greece. This entry was posted on Wednesday, March 6th, 2013 at 5:36 pm. It is filed under Blog, Greece, Photo of the Day, Photography and tagged with clouds, greece, landscape, landscape photography, meteora, monastery, Photo of the Day, Photography, potd, travel photography. You can follow any responses to this entry through the RSS 2.0 feed.